The Easy Flyer Delta certainly lives up to its name. No bridle to adjust or frame to assemble, just insert the single cross speader and you're ready to fly. 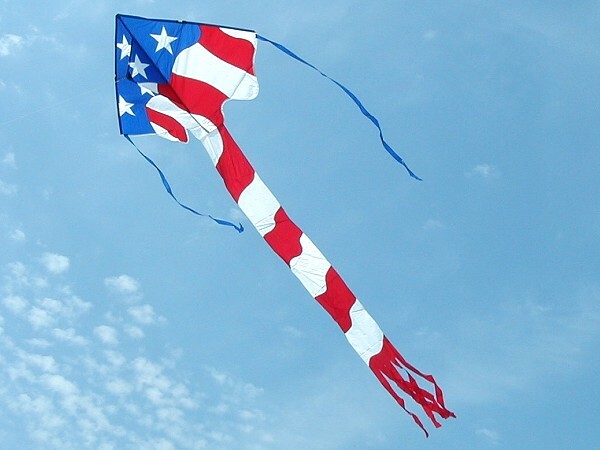 The 6 foot center tail makes this kite is very stable and eye catching. Wonderful applique graphic detail usually reserved for more expensive kites. Size: 46" wingspan x 90"